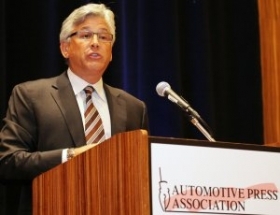 “The result of this report validates what NADA said all along -- that these terminations were unjust, they were uncalled for,” NADA Chairman Ed Tonkin told the Automotive Press Association in Detroit today. DETROIT -- An audit report by federal inspectors that was critical of how the Obama administration, General Motors and Chrysler handled the termination of thousands of dealerships proves that the cuts were “unjustified,” the chairman of the National Automobile Dealers Association says. The July audit report triggered an investigation by the Office of the Special Inspector General for the Troubled Asset Relief Program. The office is now looking into whether any illegal activity took place when GM and Chrysler terminated those dealerships. In late 2008, Congress gave TARP $700 billion to bail out U.S. banks and companies, including GM and Chrysler. GM has eliminated about 1,550 dealerships and Chrysler about 760 since their bankruptcies in 2009. Tonkin said he does not know what is going on with the investigation or when it will be completed. But he said NADA met with auditors at the dealer group's headquarters in McLean, Va., and answered questions about methodology discussed in the association's meetings with the Obama auto task force. This week, Rep. Steven LaTourette, R-Ohio, called on the administration to ask GM to suspend the 500 dealership terminations scheduled for Oct. 31, until the investigation is complete. Tonkin said he hopes the investigation wraps up soon enough to help dealers whose stores face closure.